Each patient may have a different set of problems in regards to their wisdom teeth, and this requires personal attention to the specific problem presented in each individual case. There are some people who do not have any issues with their wisdom teeth, but they do not represent the common experience, which is unfortunate. If there are any complications with the wisdom teeth, they may need to be removed. Sometimes, this procedure can be done by a dentist, but if there is an infection or another complication, your dentist might have to refer you to an oral surgeon for the procedure. Specialists can recommend a course of treatment for a variety of symptoms. Every treatment plan should be highly personalized to address the specific problems that are presented at the time of the visit. However, it is also important to know that these conditions can also change with time. A tooth removal may be the best course of action if the removal is a part of a larger treatment plan involving orthodontic, periodontal or restorative procedures. 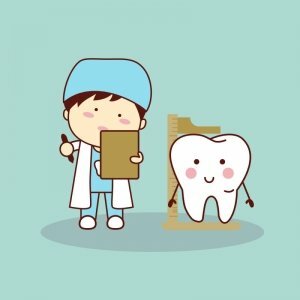 By quickly identifying any slow-developing problems in the areas around the wisdom teeth, dental professionals can provide accurate advice about different actions that may address the situation. Individuals who keep their wisdom teeth should have their condition monitored carefully so that any changes are detected promptly. If the situation does begin to deteriorate, the dental professional can quickly assess the problem and recommend a treatment plan. Additional complications always pose a threat, and various conditions may develop as the individual ages. Complications involving age-related medical conditions are common. This situation can be mitigated by scheduling regular dental visits in order to receive an accurate and timely evaluation of the current state of any wisdom teeth. Early detection of any problem is the key to solving it in a timely fashion. Oral health is best practiced as an art of prevention.